We made our way down for lunch, which also meant a noon time beer. It’s 5:00 somewhere right? You can’t go to a brewery without trying the beer, I mean what’s the point??!!! If you have have never been, this place is quite large with parking in the front and the back. We parked in back and went up the industrial stairs, made it seem like we were really entering a brewery that way you know. The menu consisted of what you would expect to see at a brewery, bar food. Pizza and burgers. There were also some great salads listed, but when was the last time you enjoyed a great brew with your salad? 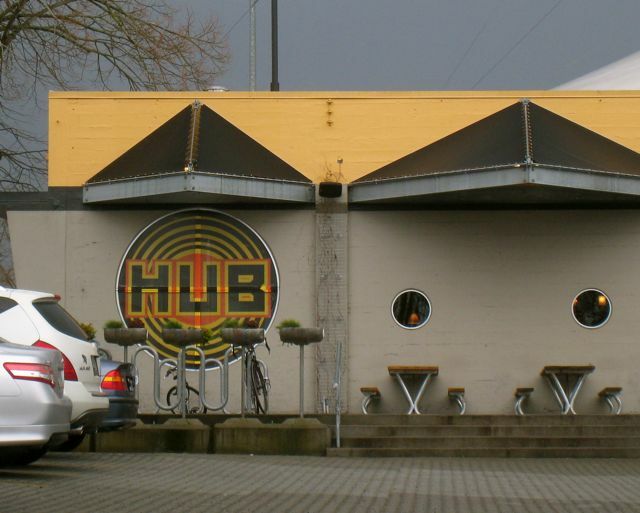 They pride themselves on Organic Beer and fresh, local ingredients. They have 10 beers on tap and 2 cask ales at all times. This place is family friendly and they even have a place for kids to play and color on a chalk board. The burgers were made with Painted Hills beef, but the Portobella Burger caught my attention and since I knew my friend wouldn’t harass me for eating fungi I thought I would give it a try. It was good. She ordered the Black Bean burger with cilantro lime aioli. Both burgers were good and the fries were also really good. The beer was amazing. I would go back for the beer any day. You can even get the beer to go and I just might make my way back down for some of that. I ordered the Deluxe Organic Ale and my friend got the Velvet ESB. Atmosphere was so great, a bit loud once it filled up. Located on SE Powell Blvd. How can you beat a to go beer? Do they have dark beers? It looks like its an old fire station. Most of their beers were darker. I like them a little lighter but was pleasantly surprised by how good they were. It does resemble a fire station. Funny you should say that. 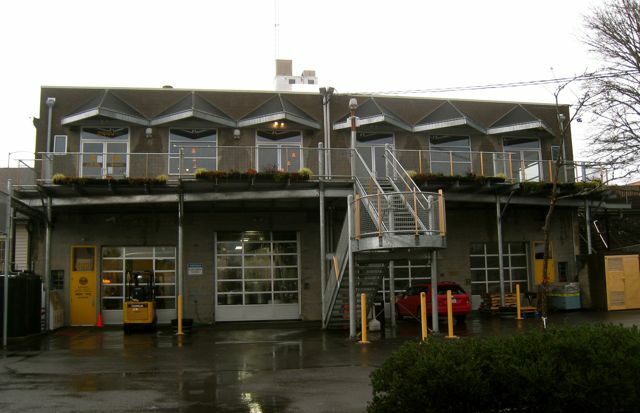 In Portland they did turn an old fire station into a restaurant and we went there years ago. It’s still around, but we haven’t been mostly because it’s out of our way.